Malaria used to be and is still a dreaded word. Malaria is a mosquito-borne disease, which can even be life-threatening sometimes. Malaria is caused by a parasite, which is carried by the female Anopheles mosquito. The World Health Organization estimates that 438,000 people died of malaria in 2015. Though the number of deaths caused by malaria has come down significantly in recent years, it is still a serious health threat. Symptoms of malaria resemble a lot like those of flu. Many a times, malaria may remain undiagnosed if flu is suspected and if the blood test is not done on time. If malaria is detected on time, it is usually uncomplicated and can be easily cured. 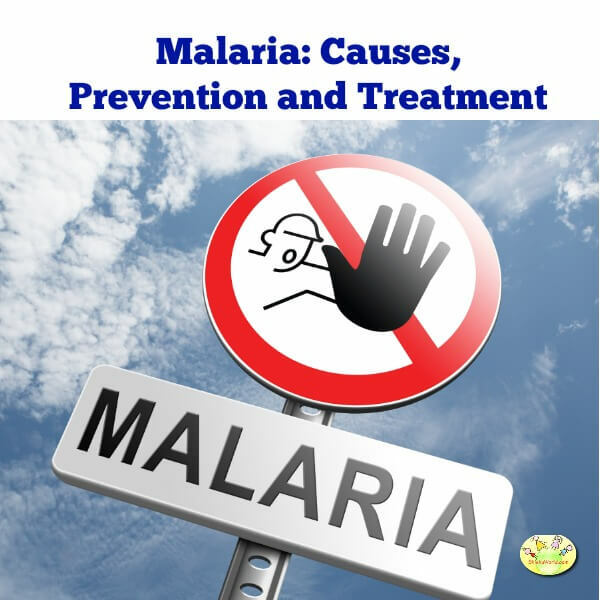 However, if undetected, malaria can get complicated and severe. Malaria is caused by the bite of the female Anopheles mosquito, when she is carrying the parasite plasmodium. There are 5 species of plasmodium which can cause malaria. When an infected mosquito bites a human host, the parasite enters the bloodstream and lays dormant eggs within the liver. This means the symptoms start showing around 10 days after someone is infected. Malaria is not contagious, which means it does not spread by touch. 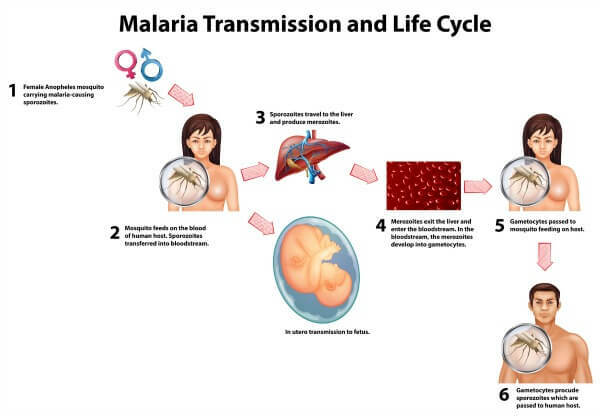 It can however pass from a pregnant mother to her unborn child which is known as congenital malaria. Preventing malaria can be done by protecting oneself from mosquito bites. I ensure my daughter and I are well-protected when we are outside especially during evening time. You may use repellents at home, mosquito nets and wear covered clothing to protect children from mosquitoes. We must also ensure that mosquitoes do not breed near our homes. This means not allowing water to get accumulated and stagnate in coolers, drains, etc. Stagnant water is the breeding ground of mosquitoes and should be avoided at all costs. If you have symptoms similar to those listed above, it is best to consult a doctor. The doctor will then advise a blood test, wherein the presence of the malaria parasite can be detected. If malaria is found, the doctor will prescribe appropriate medication to cure the infection. In recent years, the incidences of malaria have come down quite a bit. One of the main reasons is the knowledge amongst people on prevention and the easiest way to do it by protecting oneself against mosquitoes. That is some really good information about malaria which can be a deadly disease. Thank you for sharing your tips to prevent malaria. Thanks for sharing the awareness on Malaria. I have been really scared of Malaria since childhood. It is a scary disease! Great post! I will do anything to prevent this illness! True Ritcha! Prevention is better than cure. I love good night roll on too. Good tips. Thank you Shruti. Good Knight roll on is great for young kids. This is so important. I remember my mum got malaria when I was young and it was horrible.